Want to know what happens at a Rocking Ur Teens conference? 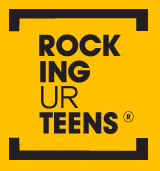 Sarah Watson who has volunteered for Rocking Ur Teens for 2 years, shares her summary of the Rocking Ur Teens Boys conference 2018. 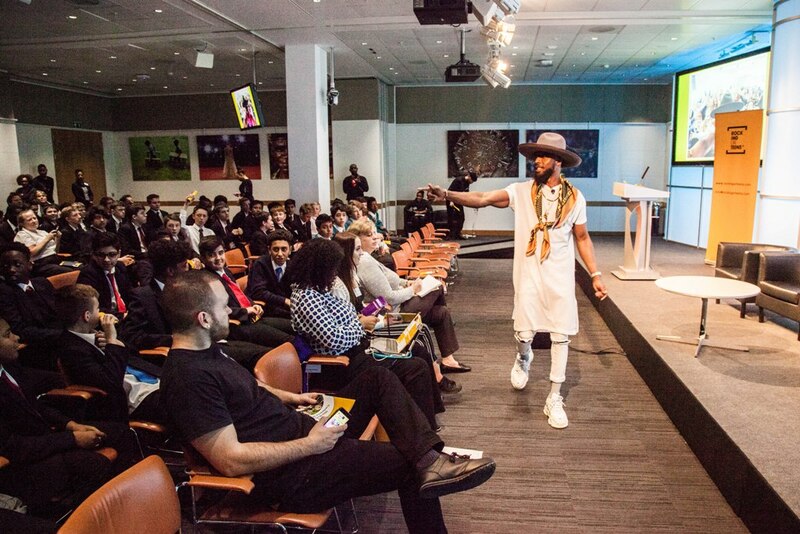 This year’s Teen Boys Conference was graciously hosted by Thomson Reuters in Canary Wharf, London. Andrew Hulbert, Founder of Pareto FM, was first to take the stage where he gave the guests an interesting summary of his journey from growing up on a council estate to now owning a successful facilities management company. Andrew encouraged the boys to consider ten lessons for business and ten lessons for life. His message was to always value family, remember where you come from, and to not conform but be the best version of you, always. Next on stage was Ragz-CV from Poetic Unity who talked about life growing up in Brixton, South London and how his grandmother’s diagnosis with Alzheimer’s inspired him to raise money for the Alzheimer Society through his music and events. Ragz-CV recited powerful spoken word and finished with the message that it was important to be yourself and understand from a young age who you are. He said respect was important, and that everyone should treat others how they themselves want to be treated. Dean Quinton Smith then took to the stage again, reminding guests that they should not focus on stereotypes and to always be themselves. He talked about his journey and reaching the point of feeling accepted as a person and said whatever pressure the teens felt they were under, they should always have the belief that it can get better. Dean then hosted a panel session with George Sullivan from Sage, Rodney Williams from National Grid, and Adam Scott from the RAF. Dean put questions to the Panel and then guided a Q&A session. The Panel agreed they had no idea at age 13 or 14 what they wanted to do for a career and encouraged the teens to focus on what they were good at and what they enjoyed. The panel discussed their jobs and how they came to make those choices, with a variety of questions from the teens in the room. Next, Kay Rufai from the Self Esteem Team took to the stage He took the boys on his journey of growing up in school, the challenges of wanting to be accepted, to fit in, and how he had wanted to attract the attention of a particular girl. He pointed out the downside of looking at yourself because of your surroundings and invited the boys to look at themselves, to find ways to better themselves, and remind them that they had the ability to redefine and change their own narrative. Asif Sadiq MBE, Head of Diversity and Inclusiveness at Ernst and Young, was next to engage the teens. Rather than focus on a positive storyline, Asif gave a deliberately honest account of his past failures and how it created his determination to succeed. He talked about the challenges of different working environments and how he has taken skills he has developed into different professions through his working life. Asif put emphasis on the need to turn failure into success and how you learn and develop from mistakes. He closed his advice with the proposition to the teens that whenever a personal goal is achieved, always look for the next one. Next was Kamal Hyman, the founder of Aim a Little Higher. Kamal took the teens on the journey of growing up in an environment where he behaved in a way he thought was expected of him, rather than be himself. He gave a humorous account of how to ignore the word “potential,” and to instead consider the importance of getting to know yourself, then work out how loved ones see you, then consider how the outside world sees you. He invited the teens to think about what they wanted to do with their life and encouraged them to develop that vision and build their dreams. Brian and Ryan from Dance West brought an inspiring and supportive conference to a close. They encouraged the guests to participate, creating such energy that two teachers were brave enough to embrace the stage and show everyone their dance moves! Dean Quinton Smith then gave a final summary of the day, giving special mention and thanks to the organisers, the host, Thomson Reuters, and to the founder of Juvenis, Winston Goode, for all his support with the Rocking Ur Teens vision and mission.